I grew up listening to Johnny Cash, and I’ve never tired of his music. A couple of years ago I gained insight into his life through reading his biography and I love the film ‘Walk The Line’. 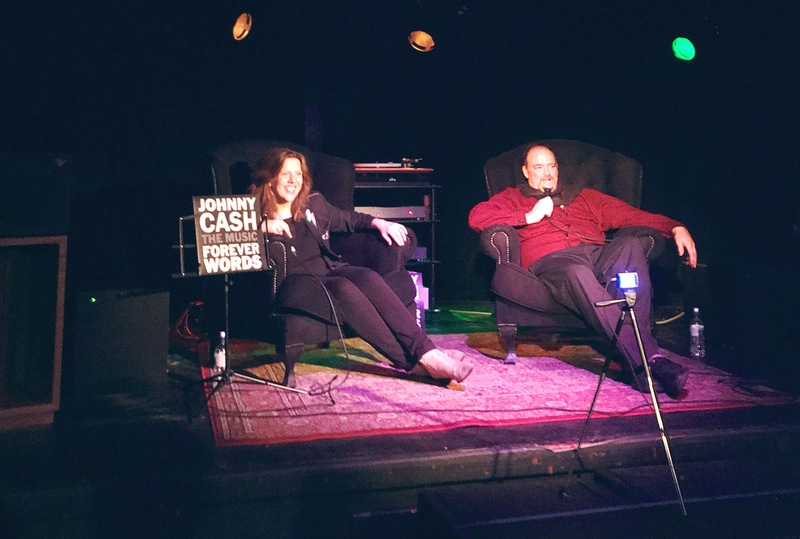 This week I met his son John Carter Cash, as he was interviewed by my friend Colleen Murphy, world-renowned DJ and founder of classicalbumsundays.com, an album-listening club. Colleen holds events where the audience has the luxury of listening to an entire album, on vinyl, from beginning to end. She also interviews someone connected with the album, either as a musician or a producer, or someone else with a valuable insight to share. I’ve been to a few Classic Album Sunday events before and loved them all. I rushed to get my ticket for this one as I knew it would be something special, and it was. The snow was the reason I woke up late today. When I opened my eyes I saw that it was almost 9am. I looked out of the window to see, but I’d already guessed. It was so quiet. It’s always quiet where we are, but it was even quieter today. That’s how I knew there was snow. There are just two weeks left until it’s Christmas. My aim is always to keep Sundays simple, but it’s always easier said than done. I had a long list of things to do today, but everything was pushed back while we came up with a plan.